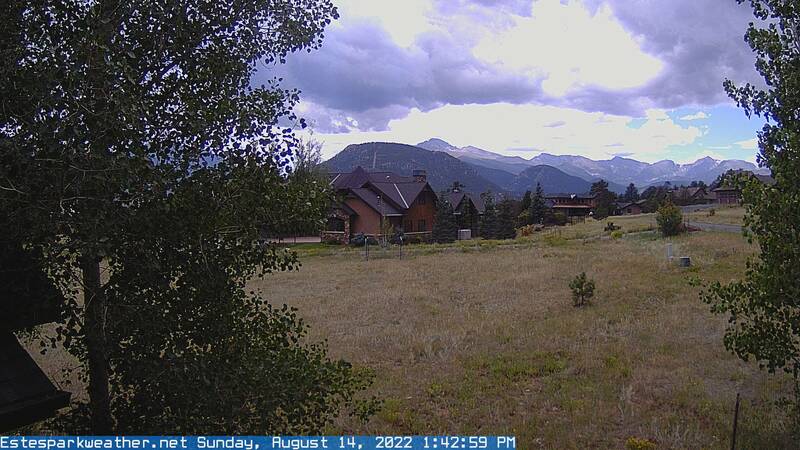 West webcam view from Estes Park, Colorado (elev. 7,700 feet) of the Rocky Mountains. 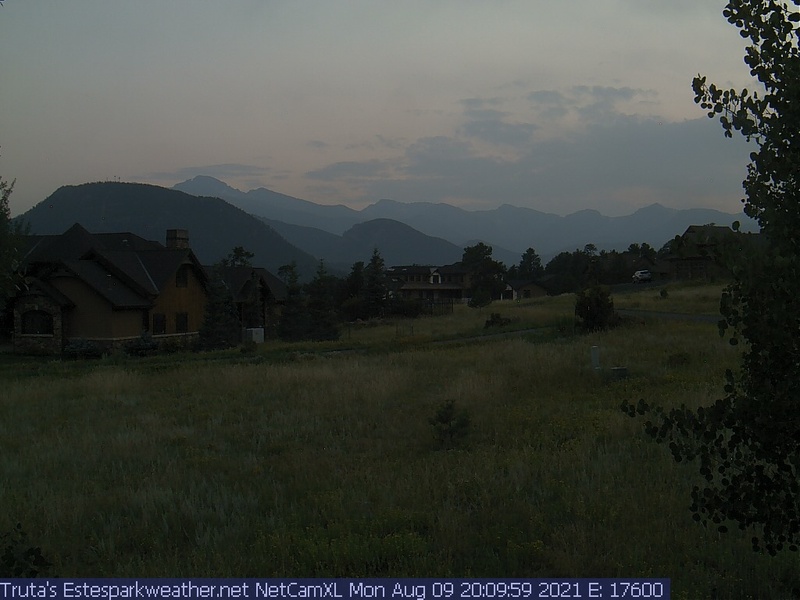 Longs Peak is on the left side of the picture. (14,255ft). 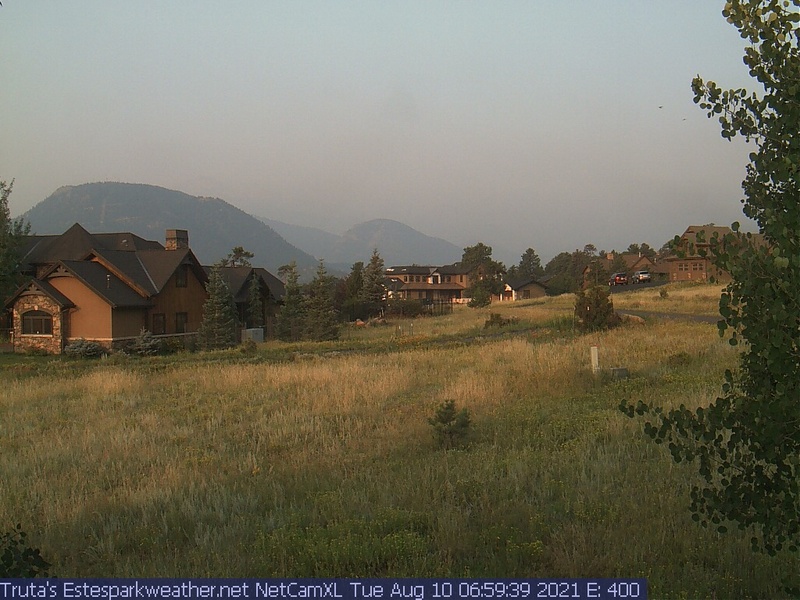 New Feature - Click on the webcam image below to view full-size.